Hewshott International is a leading global independent consultancy specialising in AV, IT, acoustics, audio systems, digital signage and display solutions. Our services also include specialist project management and high level strategic planning. Hewshott adds value at every step of the way, successfully navigating through the technical minefield that is AV, IT and acoustics, avoiding expensive mistakes and misunderstandings. Being independent is the fundamental basis of Hewshott’s existence. Our mission is to add value and make a difference. We do this by providing the best possible solution, regardless of manufacturer, and ensure a solution is shaped by needs, rather than perceived limitations of technology. Our solutions start with very close engagement with our clients, seeking their goals and needs. This results in a solution that is individually designed and customised to meet the precise needs of each client, and that can be surprisingly cost effective. One of Hewshott’s key strengths is our global reach. We draw on our skills and experience from around the world on a broad range of projects and a diversity of clients. Each office, however, is small enough to be able to respond with flexibility and speed to the rapidly changing nature of both technology and projects, both large and small. Hewshott has a strong ‘can do’ culture, but our work is structured and considered. We have been ISO 9001 certified since 2005 and have a strong internal control and peer review process. We actively seek feedback and incorporate lessons learned into every project we undertake. 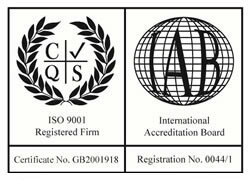 Demonstration of quality assurance in accordance with the internationally recognised ISO9001 QA. Improved efficiency through centralised project documentation, management and control.